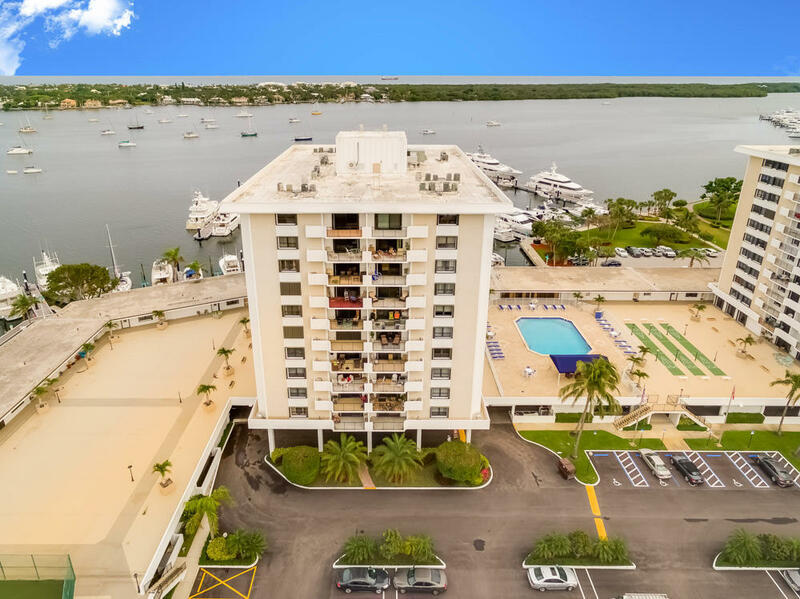 Beautifully updated 2 BR/ 2 BA condo on the water at Old Port Cove with scenic views of the marina, Intracoastal and Ocean. Updates include new air conditioning, new shower and washer/dryer in unit. This condo offers unobstructed views in every direction. Comes with a covered parking spot conveniently close to the elevator and entrance. Amenities include library, heated pool, tennis court, new elevators, entry and hallways, and free Wi-Fi in library and pool area. On-site management, 24 hour manned gate, 2-mile walking path and Sandpiper Cove restaurant. Minutes to shops and restaurants at PGA, serene beaches, I-95, and Palm Beach International airport.